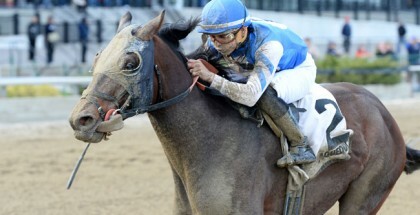 Home » News » Moreno Wins 2014 Whitney Results; Lobster for All! Moreno Wins 2014 Whitney Results; Lobster for All! 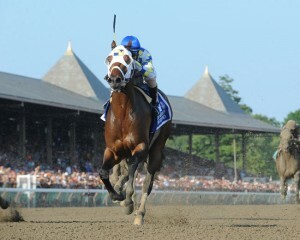 : Moreno and jockey Junior Alvarado won the G1 $1.5 million Whitney at Saratoga on Saturday, August 2, 2014. 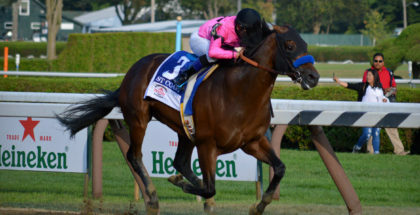 The 1 1/8 mile dirt race for three-year olds and up earned Moreno a spot in the 2014 Breeders’ Cup World Championship at Santa Anita Park later this year. 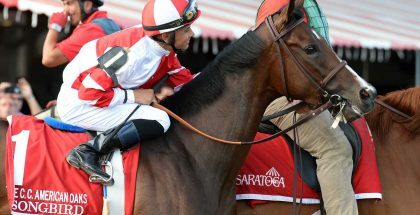 Moreno and jockey Junior Alvarado win the Whitney at Saratoga on Saturday, August 2, 2014 earning an automatic entry into the Breeders’ Cup World Championship later this year at Santa Anita Park. Moreno hustled his way around the Saratoga track in 1:48.05 alongside Itsmyluckyday and jockey Paco Lopez who finished 2nd in the 2014 Whitney. 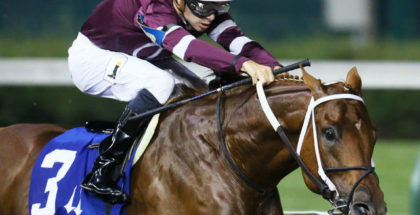 Will Take Charge crossed the finish line in 3rd place. Moreno paid his loyal fans $22 for a $2 bet to win the 2014 Whitney.